Andrew Fuller is one of my heroes. 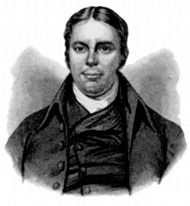 As an English Baptist pastor he was greatly used of God in the latter 18th and early 19th centuries to encourage the spread of the gospel around the world. Because of his rejection of “false Calvinism” and defense of “true” or “strict” Calvinism, he was maligned by hyper-Calvinists and Arminians alike. Consequently, he was no stranger to controversy. When offering a brief response to a Unitarian’s unjust critique of William Wilberforce’s True Christianity, Fuller made the astute observation about when to cut your losses and back away from a theological debate. There is much wisdom here. When the misstatements of an opponent are numerous, his sentiments sufficiently explicit, and his expositions of Scripture, with all his critical accoutrements, too absurd to be regarded by serious and thinking minds, the continuation of a controversy is not more tedious to a reader than it must be irksome to a writer.